Are you guys ready for some more Halloween treats?! 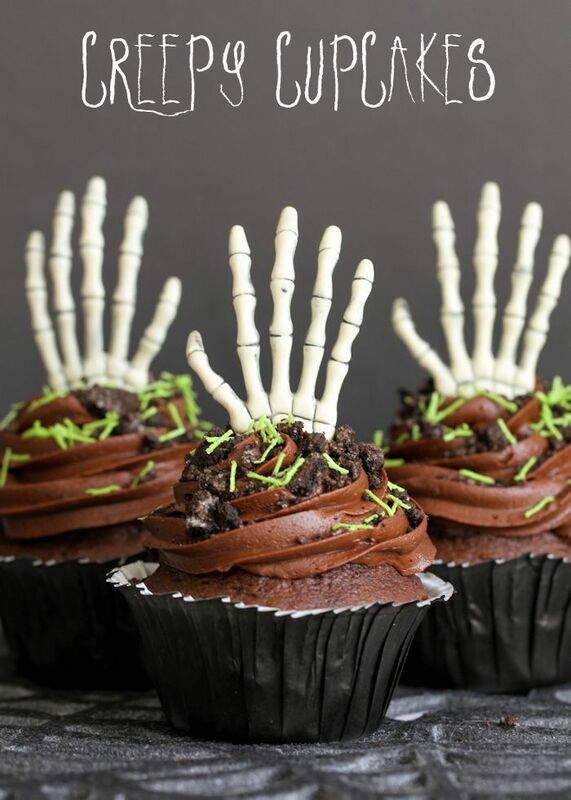 These Creepy Cupcakes were ones I shared over on Eighteen25’s Spooktacular September at the beginning of the month. I wanted these scary treats to look like a hand reaching out from under the ground. 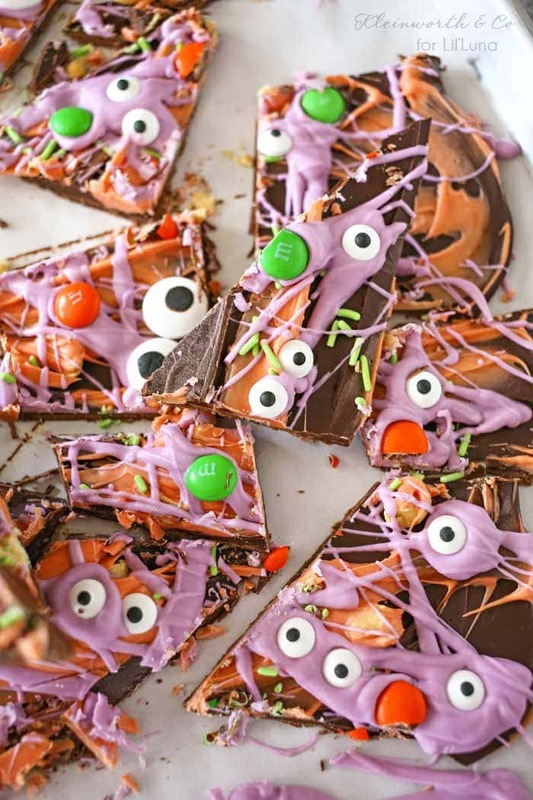 Although they look so fun and festive, they are SO easy and those are the kinds of treats I’m looking to create for parties and holiday functions. 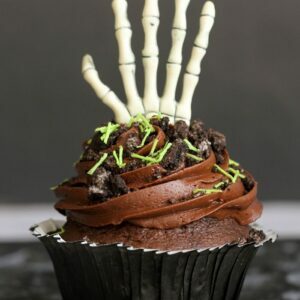 I knew I wanted to make a homemade cupcake recipe since those are always the best, but what’s great about this recipe is you can add the Oreos, grass sprinkles and skeleton hands to cupcakes bought from the store if you want or are in a hurry. I know many like to start their cupcakes with a cake mix, so I used this doctored cake mix cupcake recipe from Tidy Mom and also had to make a Chocolate Buttercream frosting (cuz isn’t frosting the best part?!) The cupcakes turned out so moist and delicious, and with the frosting on top, it made them quite irresistible. Super Delicious and Creepy Cupcakes with doctored Cake Mix and Homemade Chocolate Buttercream Frosting! In a large bowl, combine cake mix, eggs, water and melted butter. Beat on low speed for 1 minute and then on high for another minute. 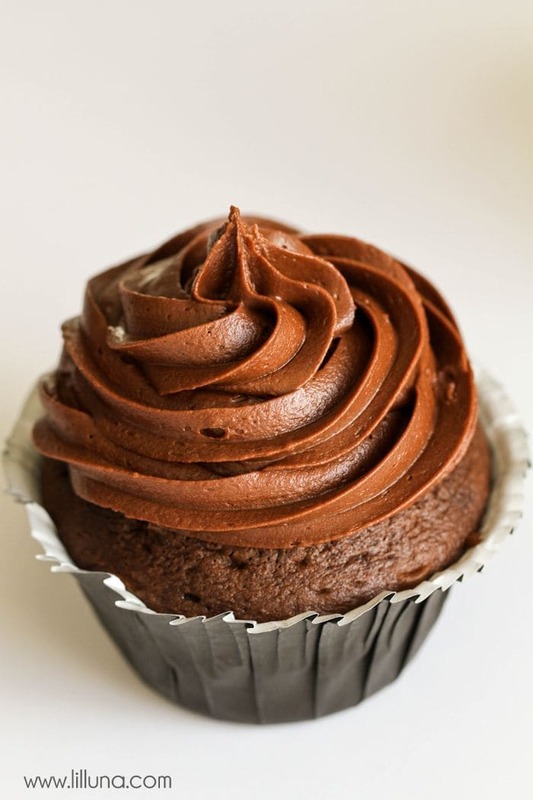 Fill cupcake liners ⅔ full and bake for 18-20 minutes. For frosting, place butter in a bowl and beat until creamy. Add sugar and cocoa and mix well. Add milk and vanilla and mix until well combined. Pipe onto cool cupcakes. 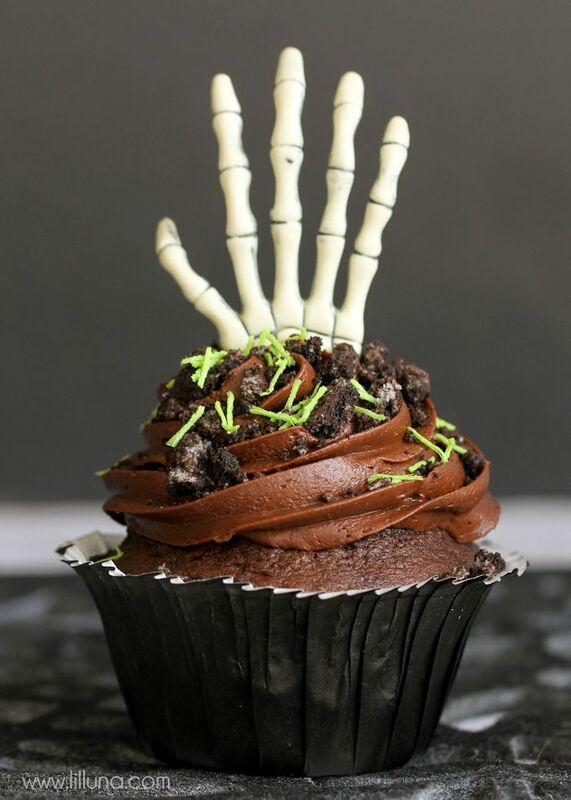 Sprinkle on crushed Oreos and grass sprinkles and top off with plastic skeleton hand reaching up. These skeleton hands were bought at Wal-Mart but I’ve spotted them at Michael’s too! 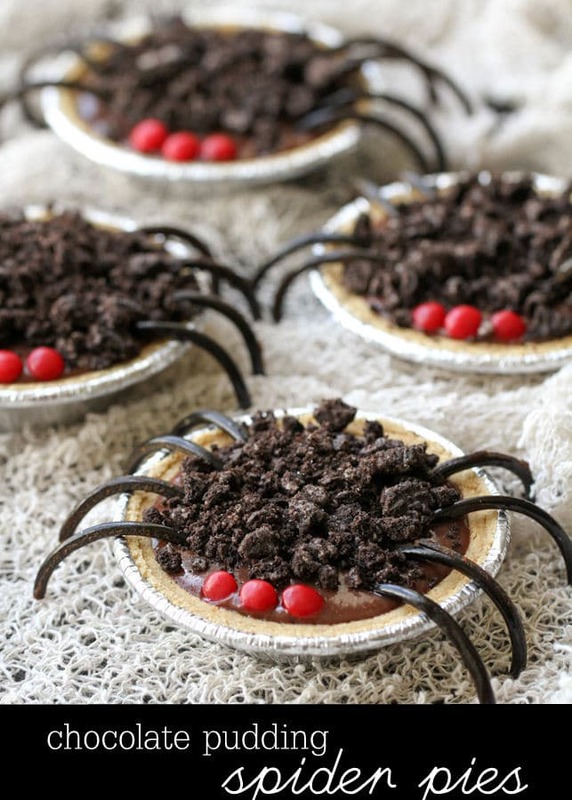 Easy peasy, festive and perfect for Halloween – can’t get much better than that!! For all Halloween ideas go HERE. For all desserts go HERE. I know I said it before – but these are just AWESOME! Super fun – you always inspire! These look great! I LOVE them!! How absolutely fun are these? My menagerie would go crazy over them! 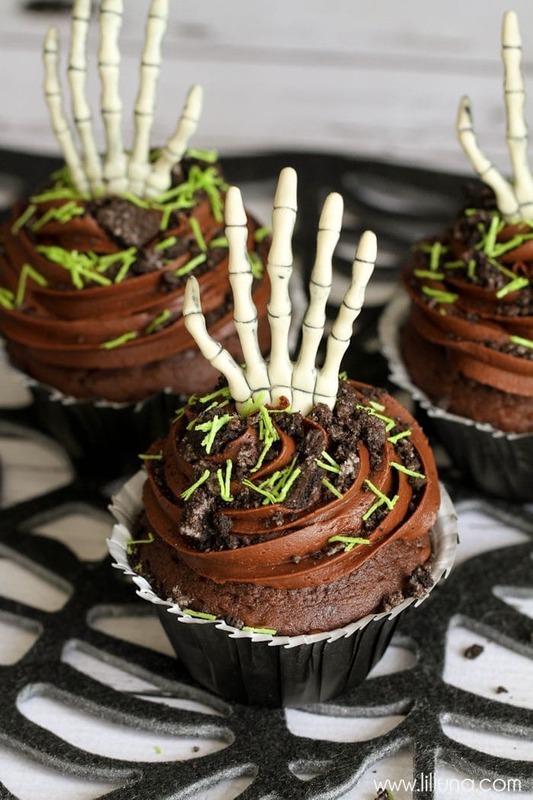 Now I desperately wish I was throwing a Halloween party so I could make these cupcakes. I may do it anyway just because! These are all kinds of awesome!! I love it! I am so ready for all things Halloween! These cupcakes are the cuteest! I’m right there with you!! I LOVE Halloween!! These are just awesome Kristyn! 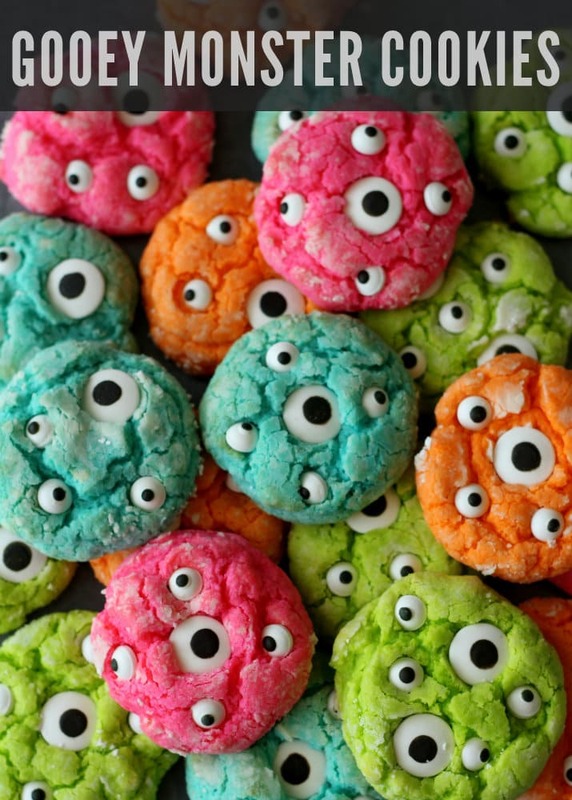 So simple to make and kids are gonna love them! These are SO cute! I love the skeleton hands!!! These look like the perfect chocolate cupcake for any occasion! Just have to dress it up accordingly, thanks!